Floral Cross is wrapped with a pink floral vine, a beautiful design for someone special. 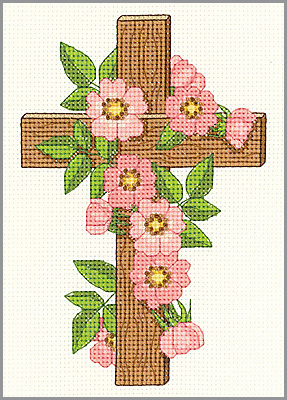 Contains: 14-count Aida Fabric, 6-Strand 100% Cotton Floss, Needle, Graph and Instructions. Size 5" x 7"